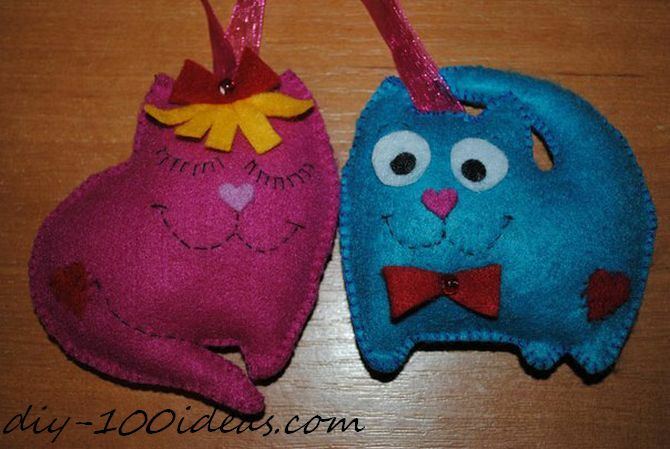 Hang them up your holiday tree. 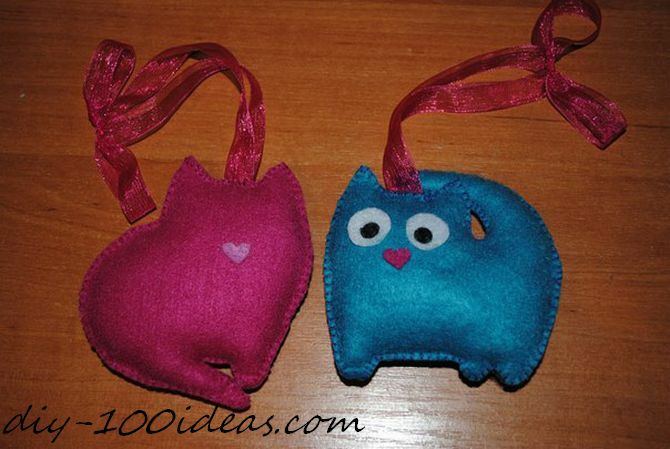 These decorations can serve as a nice holiday gift idea: for instance, they can become a little cute present that your children could enjoy to pick directly from the tree during the Christmas night. 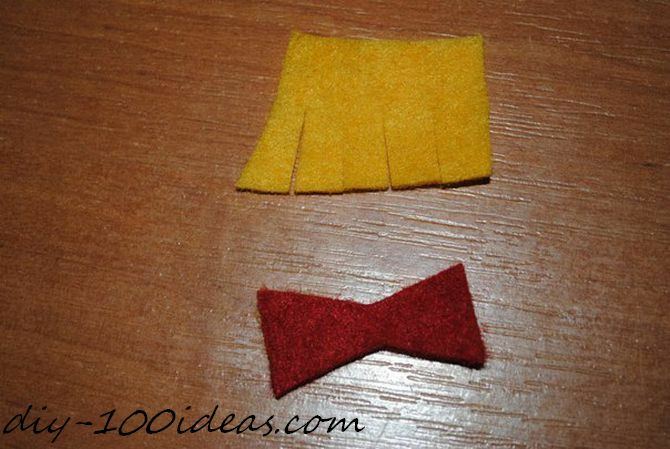 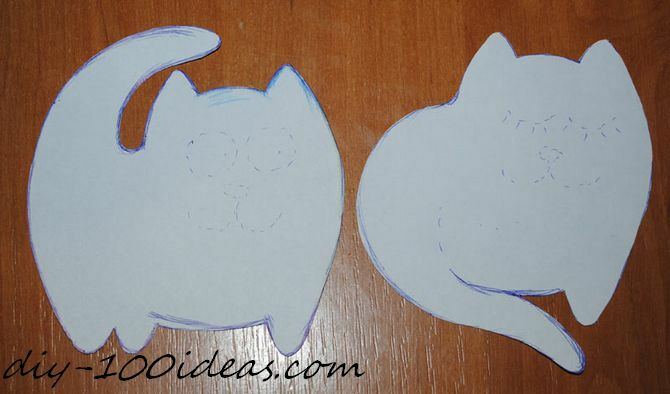 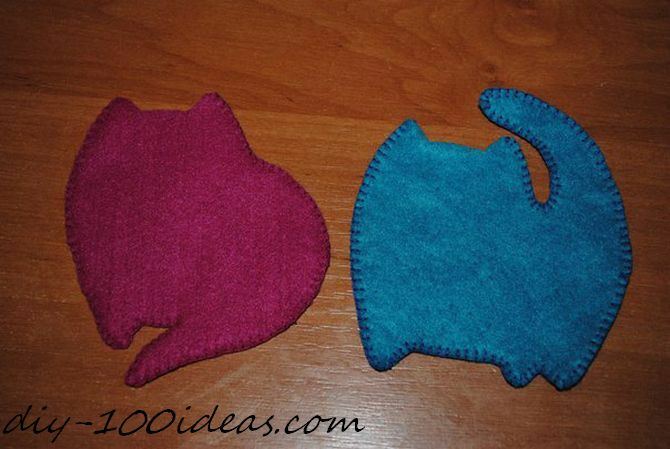 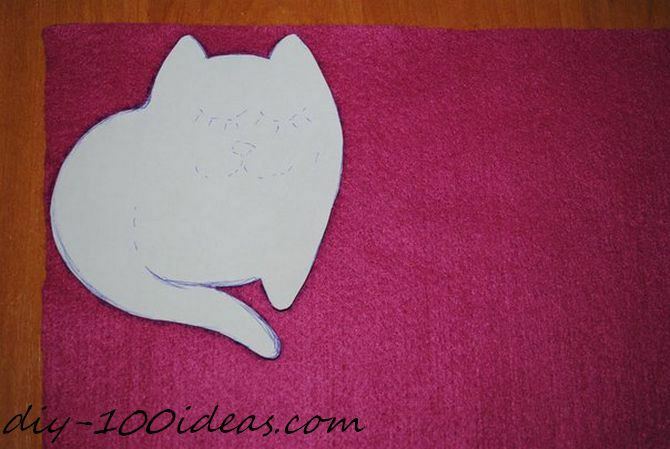 Cut pattern (2 pieces) out and trace her on to the felt. 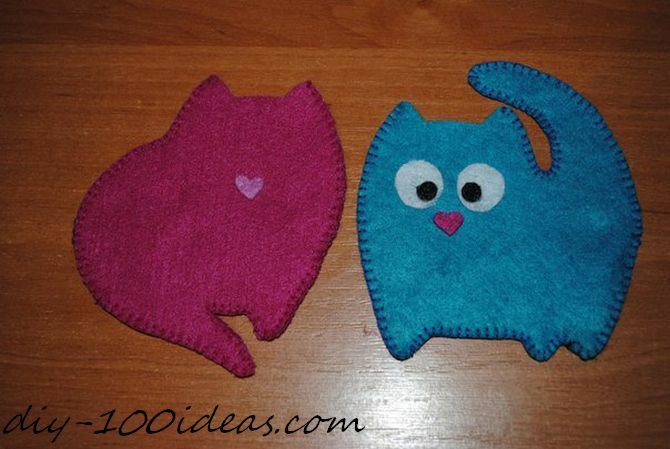 Stitch pieces, use any kind of stitch you like. 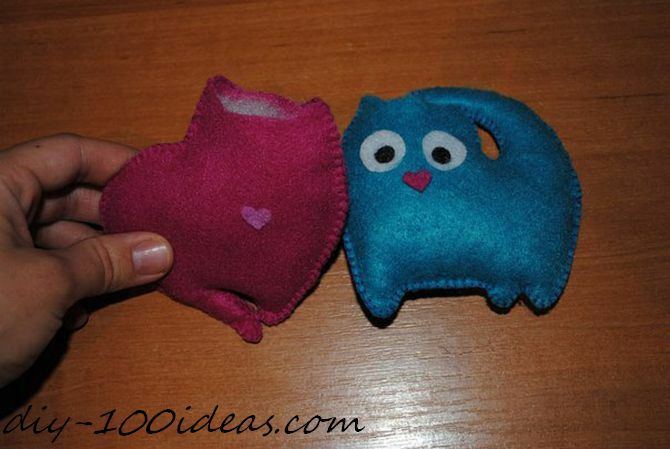 Glue the eyes, nose and sew muzzle. 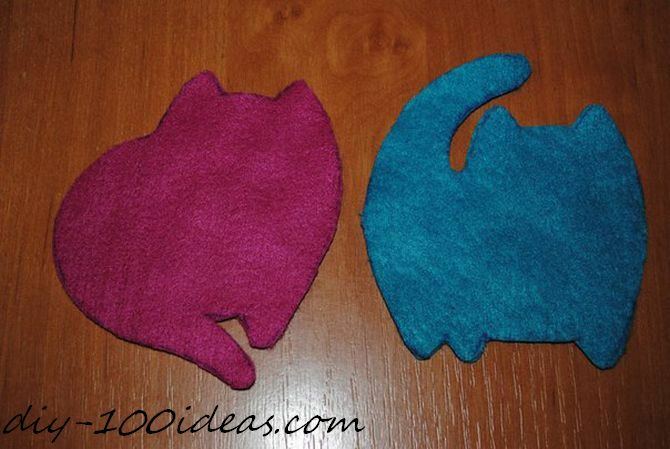 Sew the ribbon and decorate your cats. 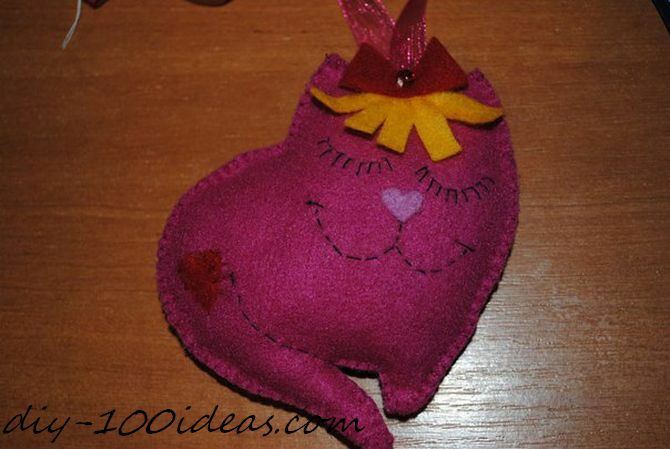 This entry was posted in DIY, Sewing and tagged cat, Christmas, diy, felt, toy. 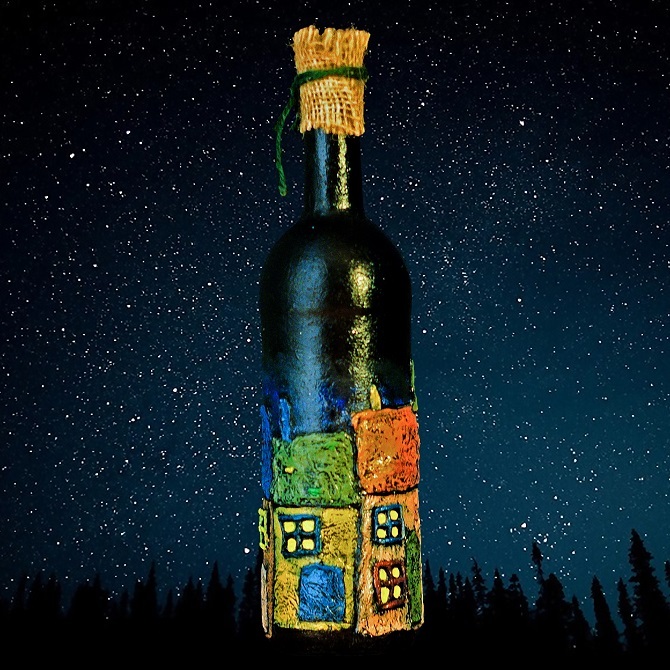 This decorated wine bottle is made by covering it in decoupage, using white paper napkins.